We have a flat file which has a trailer record; initially we need to load the data from the Flat File to a table in SQL Server database. 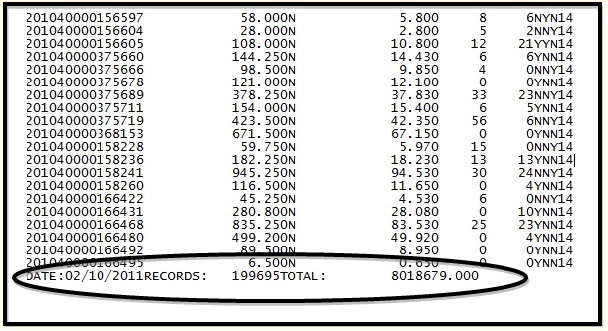 After the data is loaded into the database, we need to verify the total number of records that are loaded with the Total number of records in the Trailer information. 3. Once the verification is valid, then we need to continue the process else we need to send a notification to the configured recipients. All these steps need to done using SSIS package. Below are the steps that we need to follow to meet the above requirement. 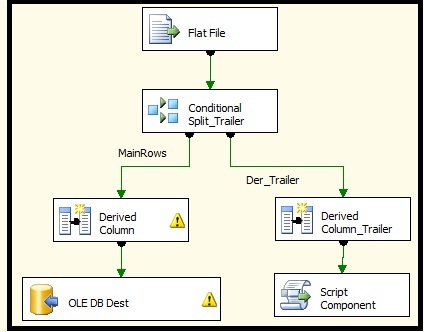 Open a new SSIS project; File –> New –> Project –> Select Integration Services Project. Create a variable Trailer_Count with the package scope of datatype Int32; Rowcnt with the package scope and integer datatype (this is for retrieving the total number of records from the database). 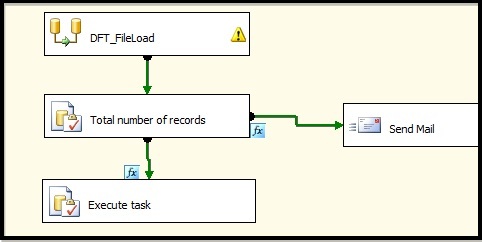 Drag and Drop Data flow task (DFT_FileLoad) in the Control Flow tab. In the Data Flow tab for the above data flow task, initially drag and drop Flat file Source. Click on New Connection. Browse for the source file and name the columns in the advanced tab that is in Flat file connection. 5. We need to identify the trailer information in the flat file by using the Condition Split. In my flat file the trailer information will be starting with the string “Date”, hence I am finding the string ‘Date’ in the corresponding 1st column, if it exists then it will flow through right direction and values will be assigned to variables, else the rows will be redirected to left and loaded into the destination database. 7. Now, let us see how the trailer information is sent to the variables in the package. 8. 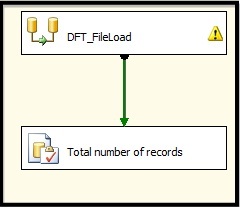 In the Derived column task Derived Column_Trailer, we will assign the value from the trailer record which contains the information of total number of records in the flat file, named as Der_count (here we are using the data conversion DT_WSTR – it’s purely depends on the requirement). 9. Drag the Script Component from the transformation and select Transformation as Component Type. 10. Here we need to assign the value that is coming from the derived column i.e., Der_count to a package variable Trailer_Count. 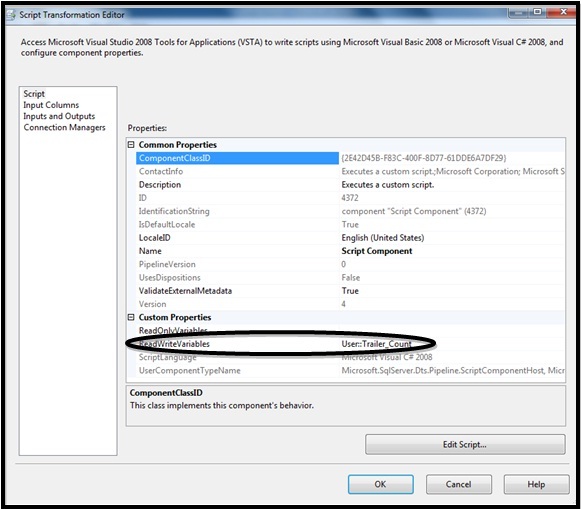 *  Write scripts using Microsoft Visual C# 2008. 13. This script will assign the value from the derived column to a package variable. 14. Now, after the data flow task, drag and drop the execute sql task, this is for retrieving the total number of records from the database that are loaded from the flat file. 15. In the SQLStatement give the query that takes the count of all records from the table in the database (as above). Select Single Row from the Result Set. 18. 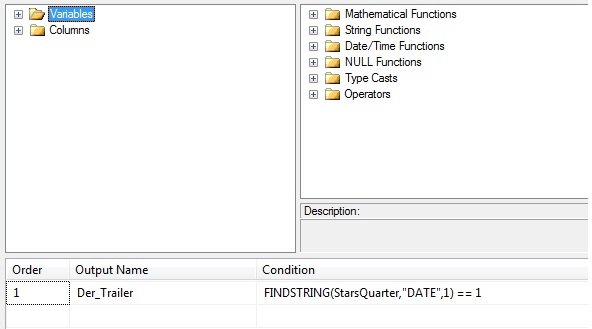 Now take another Execute SQL Task and connect this with the above execute SQL task. 19. 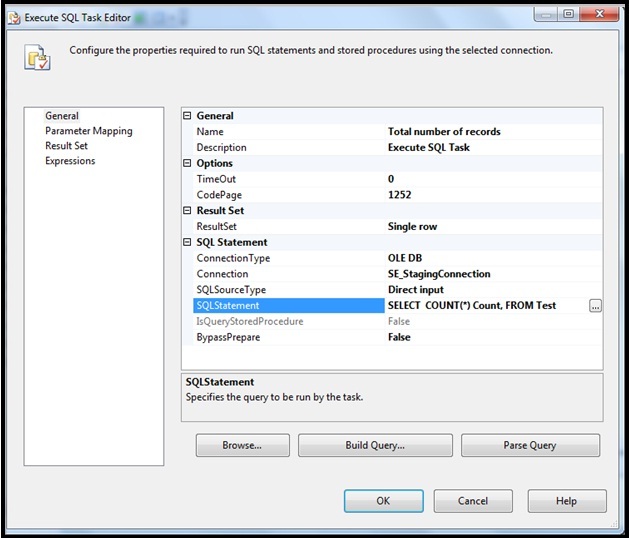 Double click on the connector between these two Execute SQL tasks. 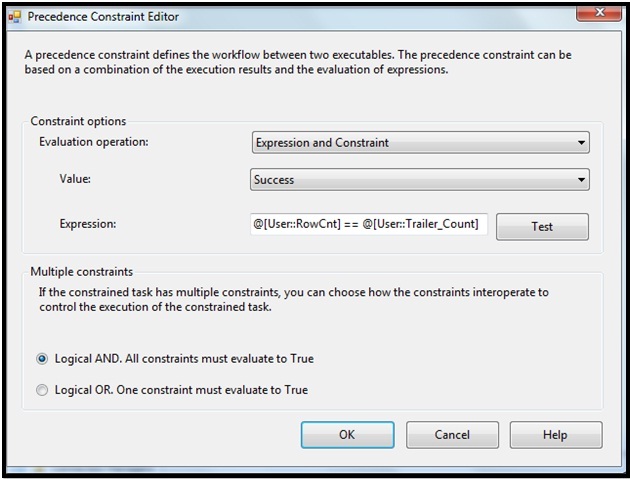 In the Precedence Constraint Editor, Select Expression and constraint and in the Expression type as below, this condition will check if the count of records from the database and count of records from the trailer are equal are not, if success then it executes the second Execute SQL Task, else it sends a notification to the configured recipients. Simply superb….This post really helped me a lot .